The focus area Utrecht Applied Data Science has started a new interdisciplinary Special Interest Groups (SIGs) on Imaging, the SIG Imaging. The kick-off meeting of this new SIG Imaging is on 17 April 2019 from 13:45 to 18:00 in the Auditorium, Q-building, UMC Utrecht. Special Interest Groups of Utrecht Applied Data Science have the objective of sharing knowledge and facilitating interdisciplinary collaboration. A SIG is a community of colleagues with a shared interest in advancing a specific area of knowledge, learning or technology where members cooperate to produce solutions in their particular field. The SIGs are open to UU researchers and other interested parties. Register via this form. For further inquiries, please contact adsimaging@umcutrecht.nl. 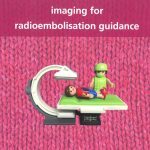 Imaging, which is the process of creating visual representations of information, plays an important role in many fields of science, including biology, biomedical sciences, geosciences, and medicine. Modern imaging equipment produces digital images, and a whole range of imaging techniques allow the acquisition of images at many scales, ranging from microscopic images, via medical images of the human body, to satellite images of the surface of the earth, and beyond. The field of imaging is evolving rapidly. Various modalities are currently employed to produce vast amounts of imaging data. Besides being multi-modal, the dimensions of imaging data sets are not limited to 3D space and time, as many physical quantities can be spatiotemporally mapped. The complex nature and richness of imaging data has led to the development of dedicated data processing approaches for image acquisition, for image processing and analysis, and for image interpretation and decision support. Machine learning techniques and artificial intelligence, play an increasingly important role. The objective of the SIG Imaging is to bring together data scientists and imaging experts from different backgrounds, so as to stimulate the development, implementation, and validation of technology for data analysis in imaging applications.